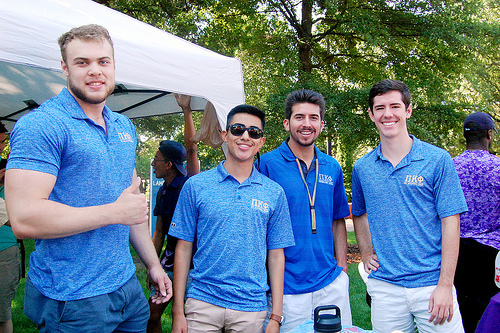 At UNCG, we are supportive of new organizations seeking to create a chapter. This process will provide information on timeline, process, and means of notification. If you have any questions or would like to learn more about the process, please contact Curtis Tarver, Associate Director of Campus Activities and Programs/Fraternity & Sorority Life at cwtarver@uncg.edu. The University of North Carolina at Greensboro does not support any forms of hazing. The document provided provides in detail the policies and procedures set in place in the event of hazing. In accordance with the primary pillar of Scholarship and the academic expectations of the university and the fraternity/sorority community, this plan outlines standards for organizations and individual members within Fraternity & Sorority Life at UNC Greensboro.